For something different, I created a Spotify playlist to go along with today’s post. The thing that these songs have in common, is that everytime that I hear them, I think, “man, that song makes me happy.” They are not necessarily the happiest songs that I like, but that isn’t the point. If you use Spotify, you can listen to it here. I saw an article this week reporting on a recent review of scientific literature that suggests that positive attitudes may be associated with better cardio-vascular health. Reading further, the researchers acknowledge the limitations of their paper, but they point out that this is a step. Future prospective research may be able to study this link and prove what I think we already know. Being happy is healthy. It isn’t always easy to be happy. I am one of the lucky ones born in an affluent country, to parents who loved me. I am given all sorts of opportunities. Even with that, I have gone through my own periods when I wouldn’t have characterized myself as happy and positive. I know people who have had similar opportunities, who appear to have a hard time ever seeing the positive or being happy. I know people who, by all logic, have reason to be miserable, but who seem to find good and joy almost always. 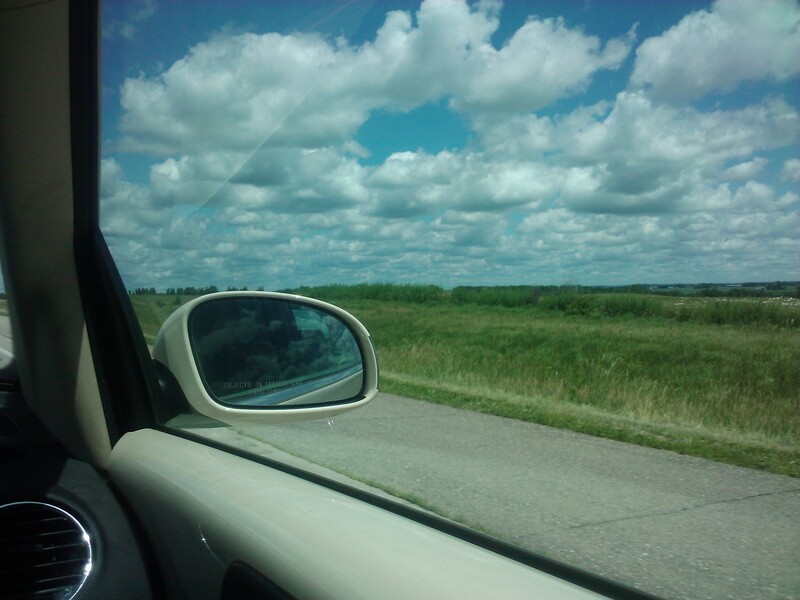 That is the big picture, but I want to write from the smaller view. How about a day? We wake up and there is a destiny before us. Eighteen or so hours ahead of us to do with what we have to do and what we want to do. How is it approached? For me, it can vary. I can wake up already dreading something happening that day. Dreams may disquiet my psyche into the day. A perfectly sweet day can turn around and be anything but. Whether it is me going into the day already with negative energy or developing it as the day goes on, I have realized something. There is a power that I have – and I do consider it a power – to reverse it. It happens without me noticing it. Yesterday, I stayed at work too long. I left my weekly to-do list with many things not accomplished. I already had my mind on some things that I really had to do that I did not want to. I made up my mind that the trip I was going to make to the gym on the way home wasn’t going to be happening. When I drove into my driveway, the sight of my house was so sweet. There was a package on the doorstep that I knew contained something for Dan’s birthday that I hope he will like. The sky looked like it was going to rain, but it had a bright darkness that made everything that is already so green, looked even more intense. Getting out of the car, I saw that more of the peonies along the back of the house had bloomed and I caught a whiff of their fragrance. I went into the house and decided that I was going to risk the rain and go for a walk. 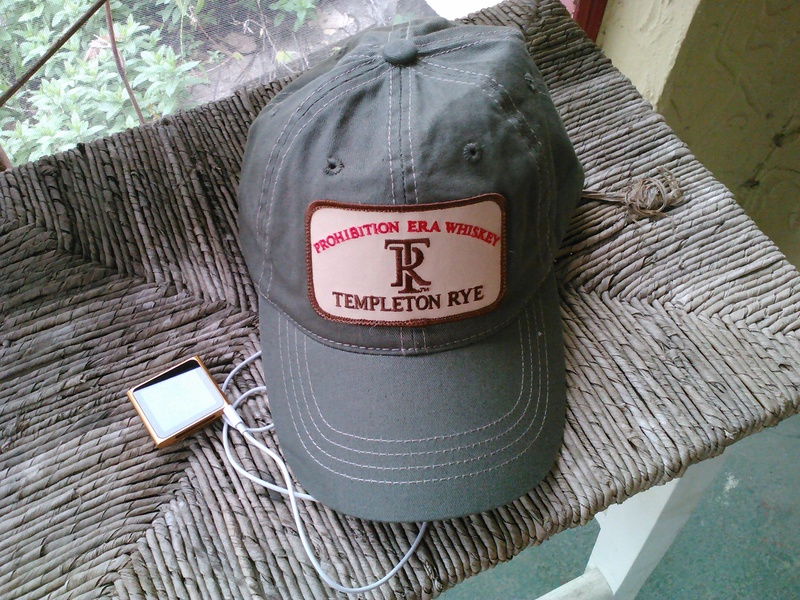 I changed clothes, put my awesome new Templeton Rye hat on, got my Ipod and stepped out. Immediately, my neighbor called out a friendly “hi” to me. By the time I rounded my final corner and came upon another neighbor out to walk his dog, the transformation was complete. Maybe it was the walk and the endorphins and whatnot. I think that it was part of it. But I also think it was my brain capturing images of beauty and comfort. It was my nose bringing smells of spring. It was my ears that were listening to some great music. I am happy that I have been lucky in life. I am lucky that I can find happiness even when I try to ignore it. You’re right about the blessings of being middle class in America, but, remember how surprised we were to observe the happiness of the poor people in Bolivia? Peasants in one of the poorest countries on earth were spending hours outdoors, kids doing traditional dances on the square, etc. We Americans associate poverty with sullen, grim lives, but they showed that happiness is not closely tied to wealth.